Smart communities fueled by solar energy and the latest in advanced energy storage and smart microgrid technologies are taking root and beginning to expand in Japan, part and parcel of a national drive to enhance energy resilience and independence. Strong political and “grass roots” public support for “green energy,” greater consumer choice and renewable energy self-generation has emerged in Japan in the wake of the Great East Japan Earthquake and tsunami, which all but leveled Tokyo Electric Power’s Daiichi nuclear power plant in Fukushima Prefecture. Among the latest developments, PanaHome Corp., ENERES, IBJ Leasing and the government of Hyogo Prefecture on Sept. 21 launched a smart energy residential community development project. 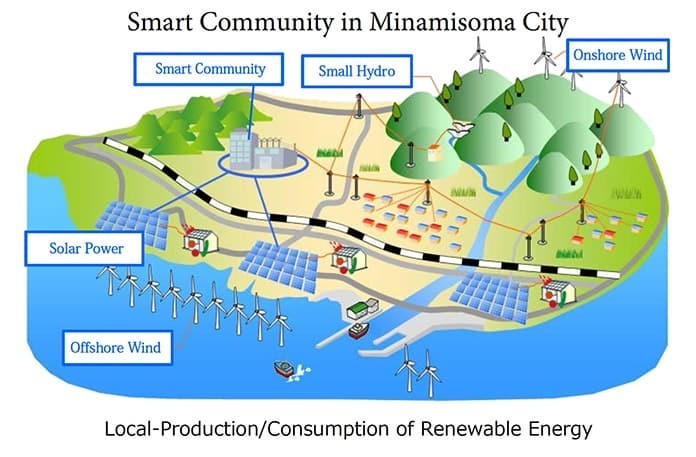 Joined by Panasonic, project partners are aiming to install solar photovoltaic (PV)-lithium-ion battery energy storage systems in 117 homes and integrate them to create an energy resilient and self-sufficient community microgrid in Smart City Shioashiya Solar-Shima, a district within Ashiya City. 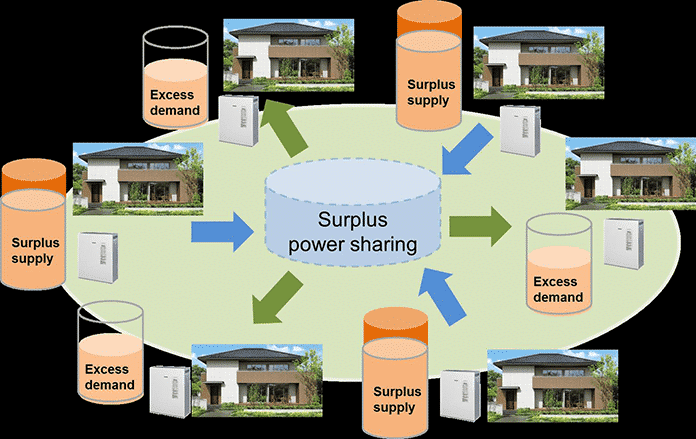 Looking ahead, project team intends to expand the initial solar-storage residential community microgrid this month by building out infrastructure and interconnecting Shioashiya Solar-Shima’s microgrid to a regional power and energy distribution grid network. A planned residential, resilient energy development project subsidized by Japan’s Ministry of Economy, Trade and Industry (METI), Smart City Shioashiya Solar-Shima is expected to serve as a proving ground and a showcase for smart city, town and village technologies, as well as a national model for local sustainable energy production and consumption that Japanese companies can deploy to enhance energy resiliency and security both at home and overseas. At home in Japan, Smart City Shioashiya Solar-Shima is also seen as a vehicle that can help wean the solar and renewable energy market participants off the national solar energy feed-in tariff (FiT) scheme by expanding effective use of solar power for local energy production and local consumption. Solar energy systems are expected to supply 80 percent or more of the community’s electricity needs. Each of the 117 smart community microgrid’s homes are being equipped with a 4.6kW solar power system, an 11.2kWh lithium-ion battery cell and a Home Energy Management System (HEMS). Each home’s battery storage cell is connected to the microgrid and its control unit via private power distribution lines, the project partners explain. 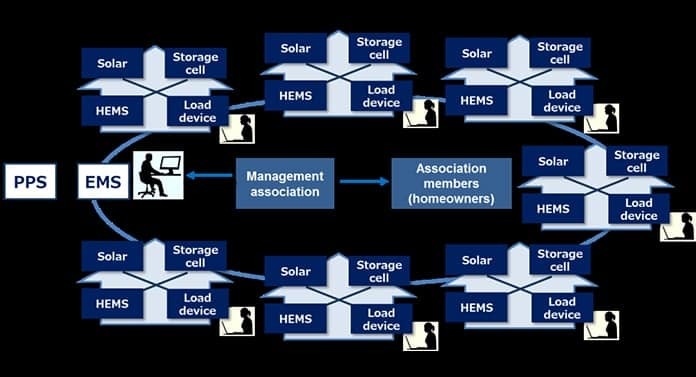 This renewable energy microgrid system architecture makes it possible to reverse the direction of electrical current and share electricity between connected homes. 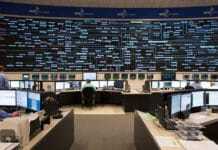 Its completion will mark the first microgrid-based regional energy distribution system in Japan, according to the project partners. ENERES is responsible for power storage cell control management that conforms to a specified energy supply scheme designed to distribute shared solar and stored energy and power among microgrid-connected households and condos, as well as provide power to the entire city district, an area spanning some 32,008 square miles. Key to this, IBJ Leasing will install and manage the community microgrid’s private power distribution lines. In terms of household and condo owners’ energy costs, the project partners say that by generating their own renewable energy and power and sharing it will be possible to reduce rates by 20 percent. In addition, project partners anticipate entering into power purchase and grid services contracts with new power companies, which will generate additional residential community microgrid services revenues. Key to enhancing resiliency, Smart City Shioashiya Solar-Shima home solar-energy storage systems will continue to generate electrical power and energy in the event any type of disaster or equipment failure knocks out the main grid supply. Furthermore, in the event of an outage, the community microgrid will continue to supply power to designated circuits – lighting, refrigerators, cell phones, rechargers, etc., the project partners explain. Dewit explains that Japan’s smart communities political movement is embedded in a broader strategic policy construct. This paradigm deliberately integrates energy and environmental policy, spatial planning, disaster resilience, export promotion and a range of other policy areas. Not surprisingly, Japan’s smart community projects number in the hundreds and rank alongside the world’s best. Another smart, distributed renewable energy community is emerging near Fukushima prefecture, in Minamisoma City (pop. 63,000). The city’s updated smart community development plan emphasizes renewable energy and energy efficiency, as well as encompassing promoting electric vehicle (EV) adoption and EV-microgrid integration. “They started from 4 percent renewable energy in their power mix in 2011 and they’re aiming for 65 percent by 2020, then 140 percent by 2050,” Dewit told Solar Magazine. Minamisoma City publishes status reports that enable community residents and the broad public to track progress. The most recent assessment shows renewable energy accounted for 8.2 percent of the city’s power mix in 2014. At that pace the city would realize its long-term renewable energy goals ahead of schedule, Dewit pointed out. “Their progress on efficiency – via HEMS, BEMS (Battery Energy Management Systems) and other energy management systems – is also impressive. 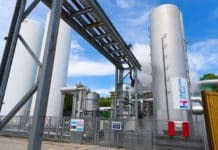 And to help balance growing distributed generation, they have a 40,000 kilowatt-hour (kWh) lithium-Ion battery system in place, which was installed by Tohoku EPCO,” he added. Another solar PV-battery energy storage community microgrid is up and running far to the south in the Okinawan archipelago, on Miyako Island. Led by Toshiba, the Miyako Island solar-storage microgrid is serving as a demonstration and field test of distributed renewable energy-powered microgrids’ ability to enhance energy resilience and security while at the same time reducing greenhouse gas emissions and other negative environmental and natural resources impacts. A typhoon, the 18th of this year’s season, recently knocked out power to 80 percent of the island’s households, Dewit noted in an interview. Microgrid managers shut down Miyako Island’s microgrid during storms as a precautionary measure, however. Smart City Shioashiya Solar-Shima, Minamisoma City and Smart Community Miyako City are just a few examples of the strategic, “green” energy resilience framework developed in the main by Kashiwagi Takao and other leading figures in Prime Minister Shinzo Abe’s administration, Dewit highlights in the draft of the upcoming book chapter. “They’ve built an increasingly integrated, industrial-policy paradigm that is even evolving vested [conventional energy] interests, such as Tohoku EPCO. They are normalizing renewable energy and distributed generation as resilience against myriad hazards,” he added in email correspondence. Powerful political utility, manufacturing and industrial engineering corporations are lobbying publicly and privately for a very different vision of a secure, reliable and resilient energy future for Japan, however. They advocate investing along the traditional, conventional path that has powered Japan’s economy to global prominence in the post-WW II era. Rebuilding Japan’s nuclear power generation capacity – to the point where nuclear power accounts for 22 percent of Japan’s electricity generation by 2030 – serves as the promotional centerpiece of their strategic plan. The two competing energy camps approach the issues of energy security, reliability and resilience in fundamentally different ways, from the technologies they rely on and how, where and by whom electricity is generated to their main proponents and supporters. “Even though everyone knows the 22 percent nuclear by 2030 target is meaningless (barring an energy shock, war or some other ‘hand of Trump’ act), they [the pro-nuclear lobby] probably still have enough clout to maintain the fiction on paper. 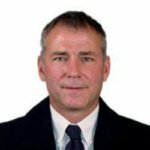 They do not, however, have the clout to change fiscal and other realities that are increasingly pushing the political economy towards distributed generation,” Dewit commented. Furthermore, those in the Abe administration promoting the smart cities and community distributed renewable energy strategy have broad-based public support. Polling results by the National Institute for Environmental Studies released in October 2016 revealed that 77.8 percent of survey respondents supported use of public money to build resilience against climate change. Only 5.3 percent were opposed. “That’s even greater than public support for subsidizing wind and solar energy, which exceeds 73.1 percent, with 7.4 percent opposed,” Dewit said. 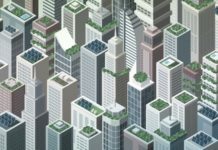 Proponents and supporters of Japan’s smart cities-renewable energy banner are promoting a non-nuclear vision of the nation’s energy future, one driven, unconventionally, from the grass roots up and based on building out local, distributed, zero- or low-emissions power generation and distribution nationwide. There’s good reason to believe they stand a good chance of succeeding.